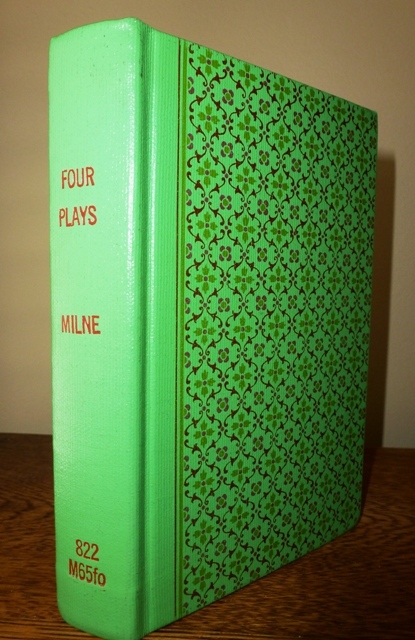 Four Plays by A.A. Milne is a collection of (surprise!) four plays Milne wrote during the mid-1920s. Having only read one play by Milne before (the charming Miss Elizabeth Bennet), I was so excited to read more. These four plays have little in common but they all display Milne’s playful wit and gift for dialogue. Detailed notes and directions also injected a bit of Milne’s distinctive style of narration into each play, which I particularly adored and which made me very thankful that I was reading these plays rather than seeing them, else all of that would have been missed! The room is empty for a moment, and then JENNIFER appears at the garden door. She is 30, and so overflowing with vitality that some of it has got into her figure, and led to the word ‘buxom’ being used. But she is tall enough, and big enough, mentally and physically, to carry it off with an air. She enjoys her word; she enjoys herself. It is jolly being JENNIFER. It is notes and directions like these that make reading plays so fun and Milne’s ‘extra’ material is particularly fanciful and entertaining. I was torn while reading this play in particular over the question of whether I would prefer reading the play or seeing it performed. On the one hand, the exchanges in To Have the Honour really need to be seen to be properly appreciated. 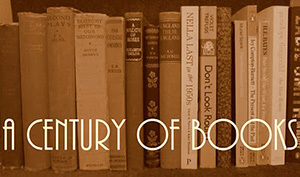 On the other, you would miss so many fabulous authorial asides about the past and future lives of the characters. Unsurprisingly, I did not come to a conclusion on that particular question. Since I’ve never had the chance to see any of Milne’s plays staged, it was a strictly academic point anyways. JENNIFER. You seem to have provided from everything. JENNIFER. And yet there was one possibility you overlooked. JENNIFER. In your extraordinary delicacy you didn’t allow for the fact that I might want to be left alone. PRINCE (looking at his watch). For how long? JENNIFER (a little crossly). What do you mean, for how long? When a woman says that she wants to be left alone, you don’t ask her for how long. JENNIFER. I don’t know why not. One doesn’t. It’s a ridiculous question. Naturally, I mean that I want to be left alone for ever. PRINCE. I see. You mean till you’re about ninety. JENNIFER. No, I don’t. I wasn’t thinking about being ninety. JENNIFER. I shall not be at home. PRINCE. Not if I came in the afternoon – with a few flowers? Watching Michael try to extricate himself from his princely persona, spinning lie after lie, each one quite absurdly magnificent, is wonderful. There is nothing modest or retiring about Michael, that’s for certain, and it is hard not to admire someone so quick-witted. Equally quick-witted is Ariadne Winters, heroine of Ariadne, or Business First (1925). Ariadne is tired of her husband John always prioritizing his work over her. When the play opens, the Winters are preparing to host a dinner party. One of the guests, Horace Meldrum, has been invited against Ariadne’s wishes. He is one of John’s most important clients and, even though Ariadne finds his propositions repulsive, John is intent on keeping and getting more of Meldrum’s business. So Ariadne flirts with Meldrum and makes plans for an assignation with him in London the following day – leaving the reader a bit confused for a moment. This is a woman giving as good as she gets, showing a marked inclination rather than dislike for Meldrum. But it is all just a farce, Ariadne’s attempt to enrage her husband’s jealousy. She is willing to do anything – even make her husband believe she has run away with another man – to get him to adjust his priorities and to finally place her ahead of his work. Enter HORACE – handsome, if you like that style – dashing, as far as his weight will allow – a supreme egoist, without a wonder or a misgiving in him. A bounder undoubtedly, but in the heroic manner. He is all the Kings that there have been in fairy tales and history. All the stories which have been told of the condescension of Kings were first told of him. When the workman’s little child falls down in front of the carriage; when the intoxicated reveller, unaware of his identity, treats him as a boon companion and a fellow-republican; when the sentry challenges him at the Palace gates, and refuses to let him pass; in these and a hundred emergencies none so conventionally royal as HILARY. He sees himself always as the hero of a royal story, or as a sitter for a royal portrait. At the moment he is the King condescending to his faithful servant – one of his favourite poses. We must assume that he is wearing his crown – or will be as soon as OTHO has finished with him. In those days they always did. This introduction (again, something that would be sadly missed if you were seeing the play performed) immediately brought to mind the fabulous commentary by the narrator in Once On A Time. […] I have, perhaps, an impetuosity which I do not show my people; a nature capable of more passion than I will let be seen. At heart I am indolent; I would gladly spend my days listening to music, or in contemplation of nature. I am rash; it may be that I jump to conclusions too quickly. Extravagant, yes; those who really knew me would say ‘Recklessly so.’ Ah yes, sir, there is indeed a very humble fellow beneath the King. Of course, there isn’t and the King’s dismay at what he sees (and his fiancée Princess Amaril’s delight at what she sees in him) makes for an amusing little tale. Probably he was human once, but now the official manner has descended on him. He can say things like ‘Ladies and Gentlemen, we have nailed our colours to the mast,’ or ‘Our glorious Empire on which the sun never sets,’ without feeling uncomfortable. He is obviously an important man; not pompously so, but with the quiet assurance which only middle-aged politicians can bring to the pretence that any of us matters more to Heaven than another. There was a time when he had a conscience, but it gave up the struggle some years ago, and is now as departmental as his manner. MANNOCK. Success! It closes in on you […] I tried to get free – I did try, Sally – but I couldn’t. It had got me. It closes in on you. BERTIE (after a pause). Did I tell you that my Uncle Joseph died the other day? FREDA. No…My sister’s small baby has just been vaccinated. BERTIE (reproachfully). He was the rich one, you know. FREDA. Oh, I beg his pardon! (Tactfully) Did he – was his mind clear at the last? BERTIE. Perfectly, I’m glad to say. BERTIE. About a hundred and twenty thousand. FREDA (delighted). Bertie, what a brain! LADY JANE. […] You’ve got to take the world as you find it. When you’re young, you think that you’re going to make a wonderful new world of it, all by yourself. As you grow up, you realise that you can’t, and that, as you haven’t very long to be in it, you’ll be happier if you make the best you can of the old world. I really enjoyed reading all of the plays and was entertained, to varying degrees, by each one. Honestly though, I think Success is the only one that will stick in my head. It has the strongest characters, including the supporting cast, and the most intriguing themes. Still, I would really like to see To Have the Honour performed – I would love to see actors do justice to some of Michael and Jennifer’s exchanges! As though to confirm your suspicions, Claire, Success is the only one of these of which I have even the vaguest recollection! And my reading was coloured by having read Ann Thwaite’s biography, and seeing what poor reviews Success got… but I still thought it great, as I do all Milne’s plays, though the ones in Three Plays are my favourite. Excellent overview, and how dearly I agree about the joy of AAM’s asides and intros etc. – think what one would miss at a play! I have had the privilege of seeing one performed – Miss Elizabeth Bennet – and it was great, but I think I prefer reading them and putting my own spin on the dialogue. Done badly, his sort of wit doesn’t work at all. Isn’t that interesting! I am glad then that I haven’t read Thwaite’s biography of Milne yet; I might wait on that for a few years, until I’ve had a chance to read more of his work and form my own opinions on it. Obviously, I’m still eager to keep discovering his other plays so I’ll keep your fondness of Three Plays in mind as I chose what to read next! This collection sounds great! I’m interested in each of the plays you described. Thanks for sharing your thoughts. They are very fun, Julie! Just like everything else I’ve read by Milne! Wow, Susan, that is a compliment indeed to Mr. Milne! I wonder if you can tell me, how many characters are there in Portrait of a Gentleman in Slippers? I have ordered the book. I will be producing the play with a theater group and would like to do some preliminary planning before the book arrives.